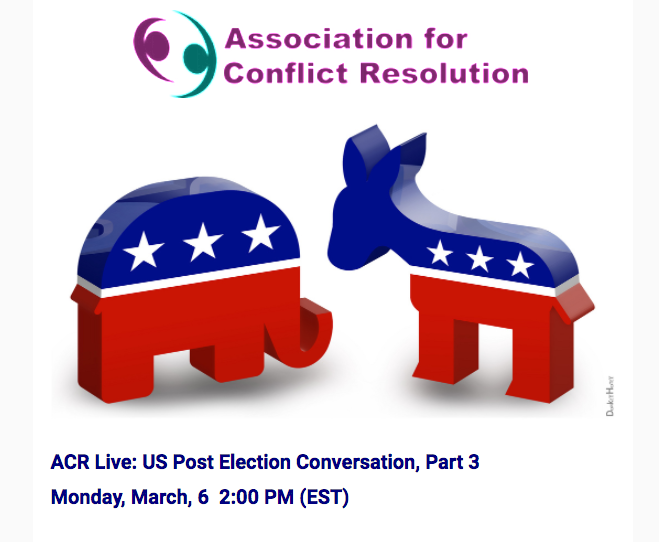 ACR Post Election Conversation: The Role of Conflict Professionals in a Divided Society, 3/6, 2 p.m.
Are you interested in being part of a conversation with other conflict professionals exploring the role of intervenors in a divided society? If so, join this call on March 6 sponsored by the Association for Conflict Resolution. You should register early.